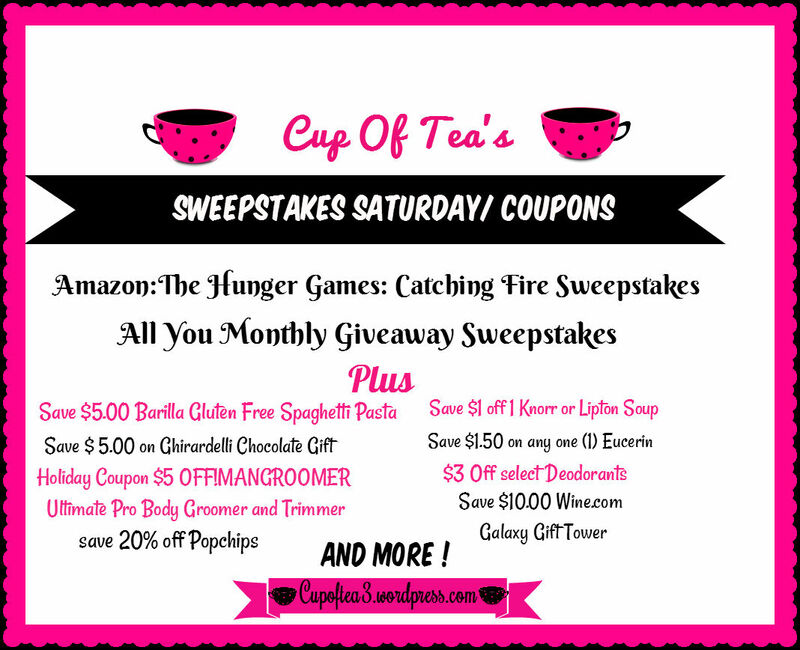 I have a big Amazon: The Hunger Games catching fire sweepstakes. All-of-you monthly giveaway. And amazon grocery & gourmet, health & personal care coupons. Win a year’s worth of Flowers, a Kodak PixPro AZ362 Camera, Pride and Prejudice Poster and/or Chocomize Gift Card in the All You Monthly Giveaway Sweepstakes! Holiday Coupon – $5 OFF!